RockAuto is teaming up with PowerNation TV again to give away a one-of-a-kind Jeep built by Ian Johnson, straight from the Xtreme Off Road shop! You can win this 1968 Jeepster Commando loaded with performance upgrades. Go online and enter for your chance to win today! 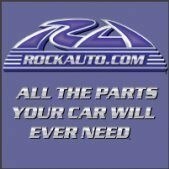 Check out the RockAuto Promotions page here to view all current rebates and promotions as well as the giveaway entry form!